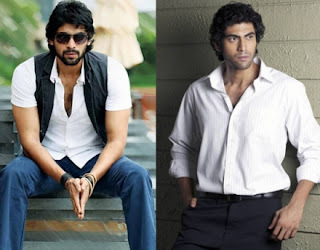 One of the most handsome men of South film industry Rana Daggubati is in Bollywood now. The boy plays a young musician and gets to romance the hottest Bollywood babe Bipasha Basu in Dum Maaro Dum. But more than his films, people seem interested in knowing about his height and search for it on google. So, in Rana’s case we can say the height can kill. The boy is gifted with a great height of 6’3”, and that also makes him the hot favourite among girls because it’s a known fact that girls just love tall guys. When Rana made his debut with Telugu film Leader, critics heaped praises on him saying that he can even do English movies. Now this debonair man is going places and is said to have signed an English movie too and will be seen next in Telugu film Nenu Naa Rakshasi with Ileana. But for now it’s Dum Maaro Dum - his first Bollywood film.